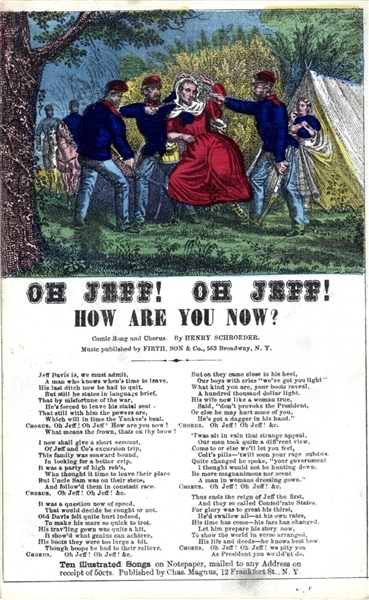 War-date Charles Magnus printed song sheet ““Oh Jeff! Oh Jeff! How Are You Now?”” 1pp. octavo, c. 1865, with nice image of Jeff Davis in ladies dress. Hand-colored. Fine condition.